One question we are constantly asked is - "should I use a REALTOR® when buying a home?" In fairness, this article is being written from the perspective of a REALTOR®. Full disclosures and formalities out of the way, the answer is YES! Of course, I will explain and offer reasons within the body of the article below. Now, on to the actual article where I will present a very convincing case as to why a buyer would want to use/hire a REALTOR® when purchasing a home. The reasons listed below apply to all sorts of real estate purchases - new construction homes, pre-owned homes, condos, and townhouses. 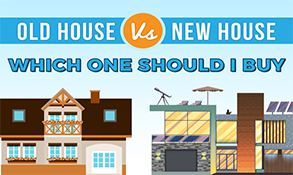 The article will compare some of the biggest myths of buyers versus the truths. Builders' representatives work for the builder. Not you. SHOULD I USE A REALTOR® WHEN BUYING A NEW CONSTRUCTION HOME? 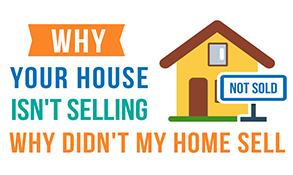 There are some false beliefs and myths buyers have when it comes to buying a new house without having a REALTOR® represent their interests. Truth - Builders have already accounted for commissions within the asking prices of the homes. If a buyer does not have REALTOR® representation, the builders will keep the excess monies they have saved by you not having a REALTOR®. Unfortunately, builders do not "pass along the savings" to buyers. The revelation here - builders are in this to make money so they do not "share" the savings. Having a REALTOR® represent you with the builder costs you nothing and looks out for your interests. Truth - The builder reps are there to (1) make as much money for the builder as possible; and, (2) represent the interests' of the builder. Do you have the mindset that car salesmen are fair and impartial? Do you have the mindset that you'll get a great deal from a car salesperson? Builder reps fall into the same category. Even though builder's reps generally do not carry the same reputation as car salesmen, the reps are still in the same position - to make as much money from you as they can for their boss. Just like any business, profit margins are important to builders and the reps are very much held accountable to their bosses to keep the best profit margins possible. Again, the builder reps are not on your side. They are negotiating to make as much money as from you (and all buyers) for their bosses - the builder. The reps do NOT represent you and are NOT looking out for your best financial interests. Builders reps also do not have to provide buyers with local "comps" or provide buyers with information on recent sales within the community or neighborhood. Only a licensed REALTOR® will have access to the MLS® data showing the accurate, recent sales and comps. Therefore, as a buyer, you may not have the "security" of knowing if you are paying a fair price for the new house. In addition, very few builder's reps are licensed REALTORS® and, as such, are not held accountable to the Ethics Board & governing body of the National Association of REALTORS®. In fact, builder's reps don't even have to be licensed at all. No such license even exists in Texas for being employed as a new construction salesperson. Therefore, there are no organizations to which a builder's rep may be held accountable. Myth - A REALTOR® cannot help me buy a new construction house. Truth - Builders love REALTORS®. In fact, REALTORS® generally can cut through all the red tape and get the best price for their clients on new construction from the builder reps. I cannot count the times I have represented clients on new construction properties and gotten a deal for my clients for thousands (sometimes tens of thousands) of dollars below the list price. 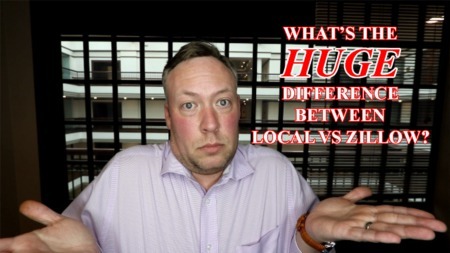 So, why are builder reps so honest and upfront with REALTORS®? 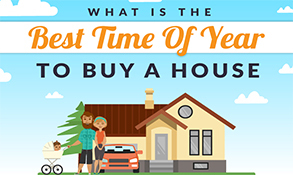 Because we are not "one-time buyers." I could literally bring countless clients to the builder for their new construction listings. That being said, reps are generally very straightforward with REALTORS®. REALTORS® have the ability to really promote builders' developments and new homes. REALTORS® have REALTOR® friends with whom they can share the quality or customer service of a certain builder(s). Again, builders love REALTORS®! 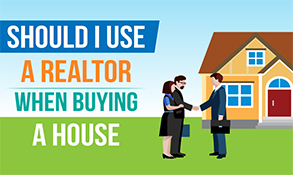 WHY SHOULD I USE A REALTOR® WHEN BUYING A HOUSE? Myth - I will save money if I deal directly with the listing agent and the listing agent will represent me, too. Truth - While the listing agent does have a duty to treat an unrepresented buyer fairly and ethically, do not confuse this duty with having to look out for your best interests. The listing agent has what is called a fiduciary duty to represent his or her client (the seller) above the buyer's interests. I have represented listings (sellers) where the buyer did not have a REALTOR® representing them. The cold hard truths are that it is my job to represent my client, the seller, to the best of my ability. 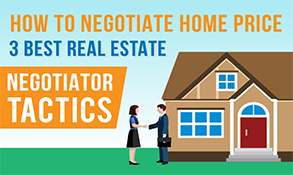 This means it isn't my job to teach the buyer how to practice real estate and an unrepresented buyer may very well overpay for the house when they are negotiating against a skilled, seasoned REALTOR® representing the seller. An unrepresented buyer may not necessarily overpay for the sale's price of the house but they may very well overpay in other areas of the contract. Items like the following are completely negotiable: earnest monies; options monies; repairs and monies for repairs; which party pays for the title policies, additions of extra title insurance; which party pays closing costs; which party pays for a new survey; which party pays for the HOA, HOA documents, and HOA transfer fees and the list goes on. Can you see how not knowing what you are doing as a buyer could actually end up costing you thousands of more dollars than if you had a REALTOR® representing your interests? Truth - In my state, Texas, we are a non-disclosure state. This means sites like Zillow, Trulia, Realtor.com, and others are simply guessing at the values of the properties. 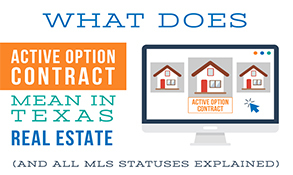 The syndicated sites DO NOT have access to the real sold data and the accurate information on the MLS®. Only licensed REALTORS® have access to this data. Sales' prices in states like Texas are private and not public information. Being a non-disclosure state is a big part of why Zestimates and public, online valuation tools are wildly inaccurate. REALTORS® can pull the "comps" to show you exactly what are fair market values on the homes you view. REALTORS® are the only people who have access to the real MLS® system. Therefore, only a REALTOR® will be able to look up recent comparable sales and tell you what a home may be worth. No other sites online can give you sales' prices outside of those owned by a REALTOR®. Myth - If I don't use a REALTOR® to buy a house, I will get the REALTOR® commission off the price of the home. Truth - Listing agreements are signed between the seller and the listing broker/agent. The listing broker then pays a percentage to the selling agent (the REALTOR® representing the buyer) out of the total commission the listing broker charges to the seller. 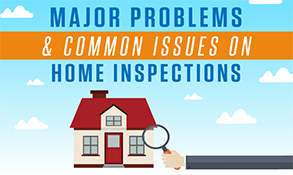 Buyers do NOT automatically get the commission deducted from the home if they choose not to have a REALTOR®. This is a huge misconception by buyers. In fact, most of the times the listing brokerage will choose to keep the entire commission if a buyer is unrepresented (and according to the listing agreement the listing agent has every right to keep the full commission), as they have signed a listing agreement with the seller outlining the total commission as their fees. Neither the seller, nor the buyer have a say so as to whether the buyer receives a percentage off of the home equal to what the buyer's agent would have received. This decision is entirely up to the listing brokerage. Even if the listing broker agrees to only accept half of the commission (as they would if another REALTOR® was involved in the transaction), the seller will most likely then choose to keep the extra monies themselves rather than give it to the buyer of the home. A buyer not using a REALTOR® has absolutely no say so in the savings or reductions of commissions as, again, the contract for the commission fees is strictly between the seller and the listing broker. Therefore, in essence, by choosing not to use a REALTOR®, a buyer is forfeiting the right to be represented by an expert AND gaining nothing financially. Whenever I'm working with a buyer I ultimately always end up giving referrals to people like mortgage lenders, handymen, painters, plumbers, electricians, flooring companies, movers and more. More often than not, I get better prices for my clients than the client would be calling service providers on their own. We refer these people to our clients because (in our case) we have spent years finding and working with the best contractors available. In the case of a mortgage lender, most good REALTORS® generally refer someone local. 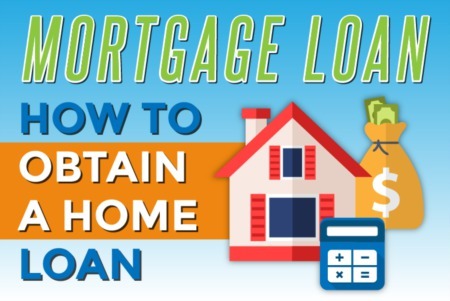 This is because a local lender will generally be easier to reach, easier to work with and usually gets loans closed on time. Most large, national banks have a reputation of not getting loans closed by the closing date. A good REALTOR® should readily have a list available for their clients for the jobs mentioned above. 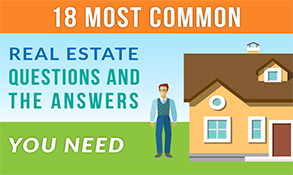 If a REALTOR® does not have a list like this, you may need to look for another agent. REALTORS® are more than just people who open doors for buyers. 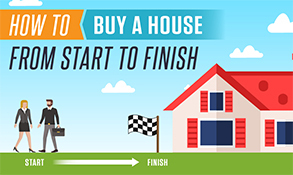 A good REALTOR® will help you through the entire process whether it is buying a new construction home, a preowned home, a condo or a townhouse. 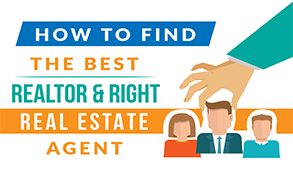 My suggestion is that you find the best possible REALTOR® to help you shop for homes and take their guidance through the home buying process. 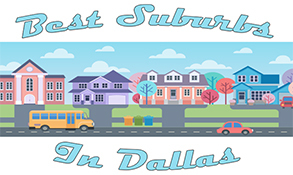 I wish you the best of luck and please do not hesitate to contact us if we can be of assistance in helping you find a new home in the Dallas - Fort Worth Metroplex. 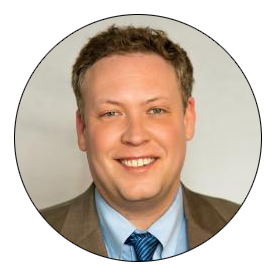 Jeff Knox is the Broker Owner of Knox & Associates REALTORS® in DFW and the creator of most of the content on KnoxRE. Jeff's real estate articles and opinions have been featured on websites like Realtor.com, Fox News, U.S. News & World Reports, Inman, RISMedia, and more. Sell your house for more money!